To Love a Rose: Acupuncture! Photo courtesy of Opposing Views. Tomorrow is another follicle study, but my first follicle study on Femara/Letrozole. I'm really looking forward to seeing how this helps things. A lot of girls find Femara to be their "miracle drug" when Clomid and injects have failed them; I'm believing and thanking God in advance that this is so. A few hours after my f/s, I am going to be visiting Dr. L, an acupuncturist and chiropractor who specializes in IF and women's health issues. I'm really looking forward to this acupuncture session! Many of the girls on Soul Cysters have raved about their appointments, saying that they at least helped them relax and relieved some of the stress of IF and TTC and at best helped contribute to their follicle and lining growth. Either way, it sounds like a winning situation! I'm going into the rest of this cycle with a lot of hope and anticipation. God is truly able to work miracles; I know he can work one in my life too! I can't be sure, but I really do believe that acupuncture has helped to balance my hormones. I've been seeing my acupuncturist for a couple of years now. Before I started treatments with her, my testosterone was high. Now it's well within normal range. The only thing I've done differently that might account for it is acupuncture. I hope this new combination of meds is the one that works for you. Wishing you lots of luck on the follicle scan! I went to acupuncture 2-3 times a week during my last IVF process. It was wonderful. Hubby also went. It helped us to both relax. My 1st IVF I produced 16 eggs(no acupuncture). And on the 2nd time around I produced 33 eggs with acupuncture!!! Crazy I know! So I'm a firm believer of acupuncture helping. Acupuncture treatment is mostly used in China. 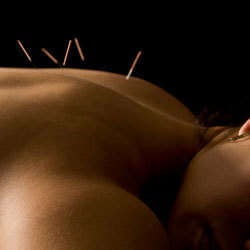 Acupuncturists use herbal medicine. Treatment is purely based on chi.